If you love Shiseido's facial cleansing foams but hate to spend the dollars... this is the product for you! It has the exact same consistency minus the color and leaves the same squeaky clean feeling on your face. Some people hate it because you get the same squeaky feeling from cheap bar soaps but I think it's great because it removes the toughest of make-up which other cleansers cannot remove. Note: You can also purchase this product on ebay. It's more expensive ($5 AUD including shipping worldwide) but it's still a lot cheaper compared to Shiseido. It is a hair masque so it is a rinse off treatment. It left my hair strong and smooth. Consistency is runny and it is deceiving because a little goes a long way. I recommend applying a little on the hair first, wait for a few seconds, then spreading it out. TrComby to leave it on for 5 minutes or longer to get the maximum benefits of this product. You'll feel the effects instantly after rinsing out the product. People who are used to Biore's pore strips* will love this product when they initially try it. 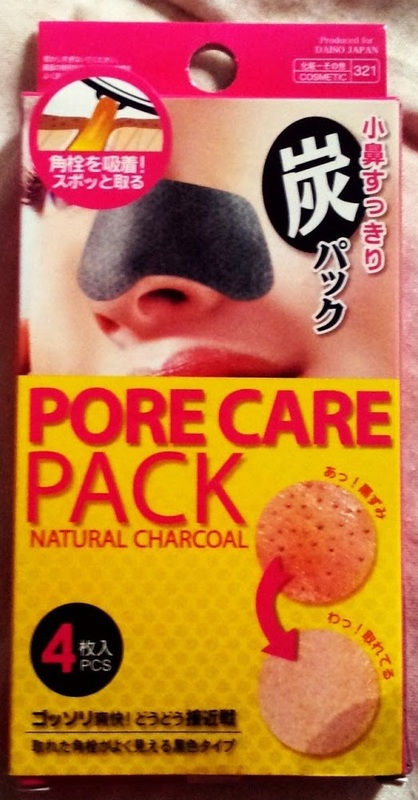 Unlike Biore's pore strips*, it's black because of the charcoal, which is great for spotting all those blackheads which have been removed. It also is a lot thicker and harder than Biore's pore strips* which might be the reason it is better. The only problem is that it's a tiny bit expensive. It would be cheaper purchasing Biore's Combo Pore Strips which comes in a 14 pack or purchasing off ebay (saves you more $). I would probably only use this product once a month. *Note that when I am referring to Biore's pore strips I'm referring to the ones that are from Australia. In Australia at the moment you can only purchase white pore strips and not black ones.